It is widely excepted that most publications have a political bias. We often choose to read a particular newspaper because it reflects our own bias or view of the world, whether left or right wing. 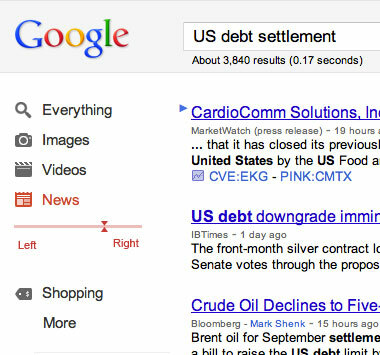 So why not add this feature to search, users can tailor their results will know the bias of what they are looking at.